Brands must take on board the demographic changes occurring in the US and the Americas. 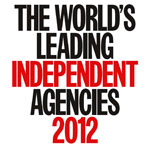 In 2012, a startling shift is occurring that will change the demographics of the world's most important market forever. 2012 is the first year in history where non-Hispanic white births in the US will no longer be the majority. According to The New York Times: "In the latest sign of the nation's shifting racial and ethnic composition, births to Asian, black and Hispanic women in the United States are on the verge of surpassing births to non-Hispanic whites." While "the Census Bureau estimates that minorities will constitute a majority of the nation's overall population in about three decades and a majority of Americans under age 18 in about one decade, since 2000 alone the proportion of people under age 20 who are non-Hispanic whites has dipped to 57 per cent, from 61 per cent. In fact, in 2008 Asian, black and Hispanic children made up 47 per cent of the population under five." Why all this dry demographic talk in a publication dedicated to advertising agencies and creativity? Perhaps it's time for creativity to look beyond the page and embrace consumers themselves. Because the message is clear - marketers who don't adapt to the new reality of American demographics will see their market share decline along with the general birth rate. Please don't kick yourself for not noticing. How many people caught up in the wave of history actually see what's going on while it's happening all around them? As Marshall McLuhan wrote: "We don't know who discovered water, but we know it wasn't the fish." You see, there's a reason why hindsight is 20/20. There's a reason why the words "should've", "would've" and "could've" are usually accompanied by a Three Stooges slap to the forehead. And there's a reason why you should talk to us. We don't look at things the way they were and wonder why. We look at things the way they're gong to be and wonder where. As in, where is the opportunity? After all, if minorities accounted for 48 per cent of all births in the US in the 12 months to July 2008, then business as usual is no longer business as usual any more. And if your marketing hasn't changed to reach out to these new consumers, then you're talking to ghosts. Specifically, the ghosts of markets past. Before you think this is a domestic phenomenon, major demographic changes are not just occurring within the US but in all of the Americas. Looking south, we find Latin America in the middle of a Hispanic renaissance. In direct contrast to much of the rest of the world, the region's economy is soaring. Mexico and the 19 countries of Central and South America and the Caribbean (not including Cuba) are seeing year-on-year economic growth. And, for the first time in history, this growth is not simply due to the exploitation of natural resources, but directly related to the ascension of the middle class. For the first time, this demographic's purchasing power is surpassing that of the upper classes. The Miami Herald says: "Many countries have built up their international reserves and continued their economic reforms. With more people entering the middle class and increasing consumption, Latin economies have more of a cushion to sustain themselves during a rough patch." And according to The Economist: "The region's economy will again expand by more than 5 per cent. Economic growth is growing hand in hand with social progress." Don't forget that Latin America is not just populated by Spanish-speaking consumers. The region's largest nation - and economy - is Brazil. This country is quickly taking its rightful place among the most productive and influential world leaders. And, despite the fact that Brazil's lingua franca is Portuguese, our knowledge and in-country representation enable Nostrum to offer opportunities here as well. We understand the origins of the products we sell, and the origins of the people who consume them. We're not suggesting that simply because these new consumers represent a formerly minority demographic that minority marketing techniques are the right tools to reach them and therefore your minority agency - and your minority budget - is the way to go. What we are suggesting (perhaps suggesting is too subtle; perhaps screaming from the mountaintops is a better description of what we're trying to do) is that a new understanding of the majority marketplace is essential. Because these new consumers are the majority. It's not like the clues are always easy to decipher. In 2007, the research company Information Resources found that salsa outsold ketchup in the US by $163.4 million. Yet, the very same year, another company, NPD Group, reported that 48 per cent of households used ketchup in a typical two-week period - three times the number that used salsa. And The Wall Street Journal reported that the condiment giant Heinz declined to take a public position at all, saying instead: "We believe there is room for both in the refrigerator and that consumers don't view the two products interchangeably." Nostrum is the first advertising agency dedicated to helping our clients understand - and make the most of - these differences. Our culturally diverse agencies, history of market-specific advertising and proprietary research all work together to arm you with the tools you need to figure out how to make the most out of these changing times. And our multilingual, multicultural creative groups - Cultura Teams, we call them - will bring you the solutions to your most vexing marketing problems. What is required today is bold, new creativity and leadership based on the realities of the hemisphere the way it's going to be, not the way it was, and certainly not the way old-school marketers would like it to be. What is called for is a new outlook that takes into account the way these emerging consumers pay attention, consume information, make purchase decisions and, ultimately, buy. Understanding and embracing their use of technology, language, cultural cues and financial tools will ultimately determine which marketers will prevail and which will be sitting by the wayside, wondering what the hell just happened. What else? Talk to us. 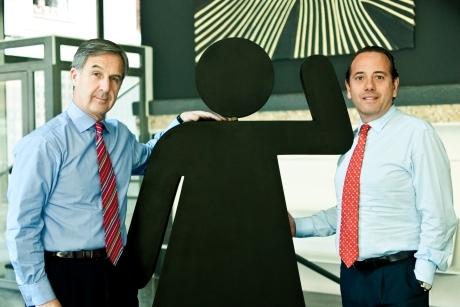 Juan de Andres-Gayon is the president and chief executive at Nostrum. No time for movies; we prefer our own reality show.